That the BSL & DDA again has demonstrate once more that does NOT WORK and that it is UNJUST, CRUEL and INEFFECTIVE for the animals and the citizens. In this way the New York new law, eliminates the discriminated, criminalized and banned in New York the Pit Bull ban and pass the responsibility to the owners, that is the correct, yes sir. The BSL first WAS REPEALED in Holland, later in Italy, in Germany, recently in Ohio, Cincinnati, Massachusetts (USA), Edmonton (Canada) and other places more. CONGRATULATIONS TO THE ANIMAL LOVERS AND THE JUST CAUSES FROM NEW YORK!!! WE CELEBRATE AND ENJOY IT WITH THE NEXT VIDEO FULL OF JOY, KISSES AND ILLUSION. 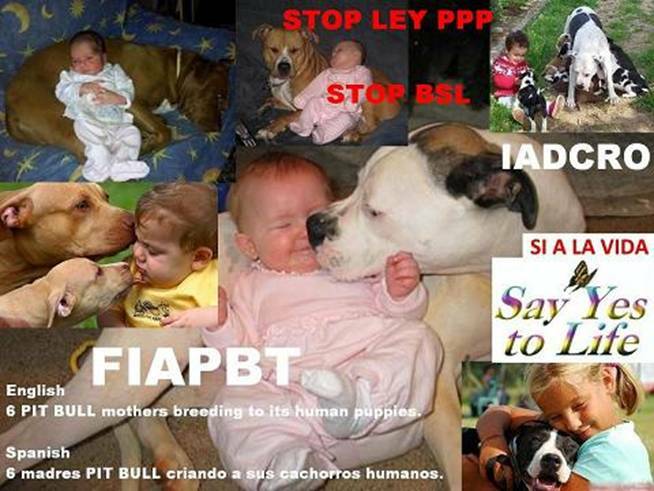 STOP VENEZUELA LAW, STOP SPAIN LAW PPP, ARGENTINA, etc., STOP BSL IN USA, CANADA, etc. STOP DDA in UNITED KINGDOM, AUSTRALIA, etc. 2) ALERT IN UNITED KINGDOM WITH LENNOX AND THOUSANDS MORE LIKE IT!!! THE BRITISH AUTHORITIES HAVE LOST THE HEAD AND WITH CRUELTY AND AND THIS WE CAN SEE LIKE EXEMPLE THE LENNOX CASE!!! TO SAVE URGENTLY TO LENNOX AND THOUSANDS MORE LIKE IT, OF THE HANDS DEATH OF THE UNJUST, CRUEL AND INEFFECTIVE UNITED KINGDOM DDA (BSL, LAW PPP). The BSL, the DDA, the Law 158, the Law from VENEZUELA, the Law PPP from Argentina, etc., are originated to all of similar way that the Law PPP from SPAIN. 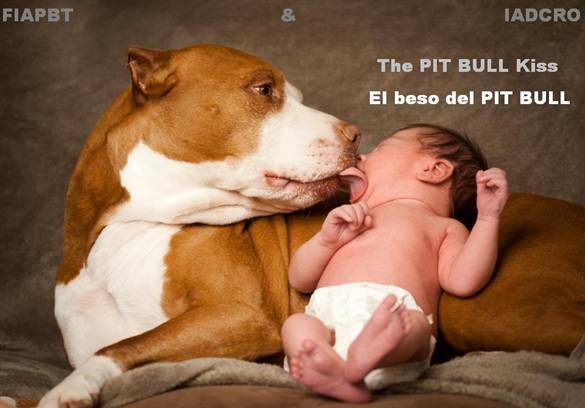 LONG LIFE TO THE AMERICAN PIT BULL TERRIER!!! http://www.fiapbt.net/pitbullcine2.html Work that through the excellent critic generated in diverse society sectors, happens to be a wonderful contribution for the humanity interest, since previously to this work nothing similar in no place had never been realised. If you wish it, you has our authorization to spread this message and the photography where you wishes, in addition we would be been very thankful to you for that reason. THANKS. “ALL TOGETHER WE CAN END WITH THE SOCIETY INJUSTICES” “UNITED WE STAND”.